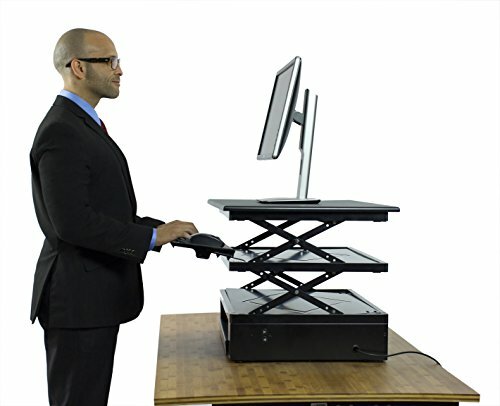 Electric adjustment | quickly move between sitting & standing W/ the push of a button. Ships assembled! | no installation | rests on top of your current desk | several USA & foreign patents pending.